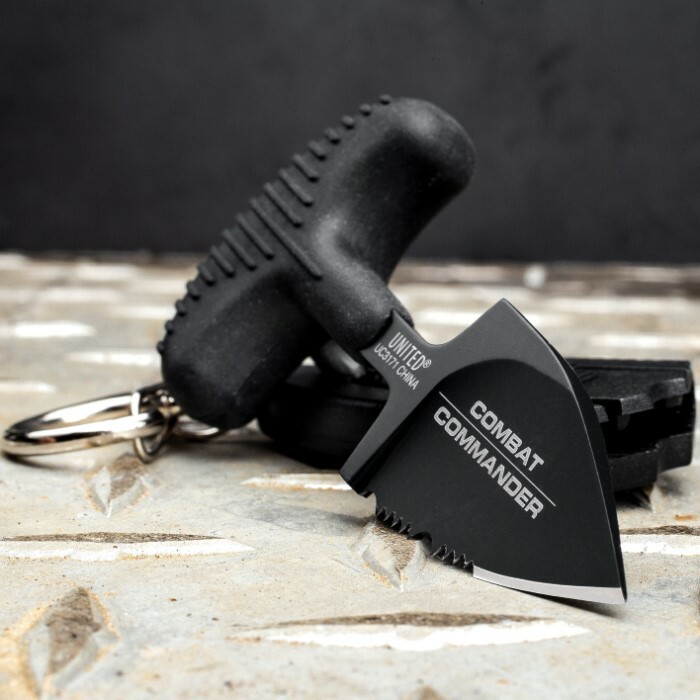 Combat Commander Mini Black Push Dagger - Sheath Has Keyring And Clip - Serrated Blade - 2 3/4” Length | BUDK.com - Knives & Swords At The Lowest Prices! 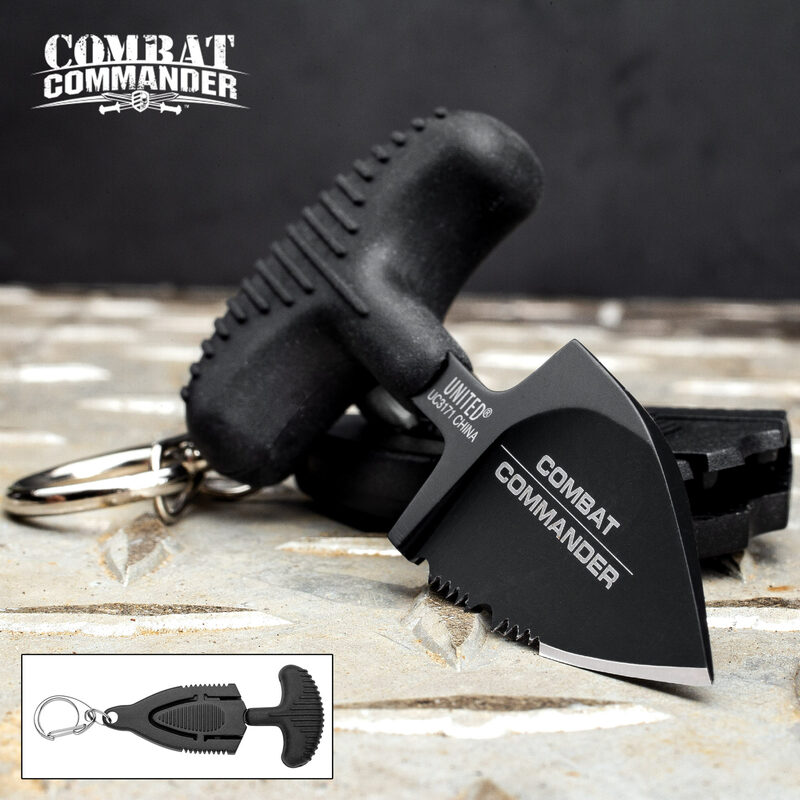 The mini push dagger has an overall length of 2 3/4"
The Combat Commander Mini Black Push Dagger is the best little self-defense friend you’ll ever have! When we say it’s discreet, we’re not kidding! The push dagger is 2 3/4” overall and has a black stainless steel blade with prominent serrations. It may be tiny, but it does mean business. 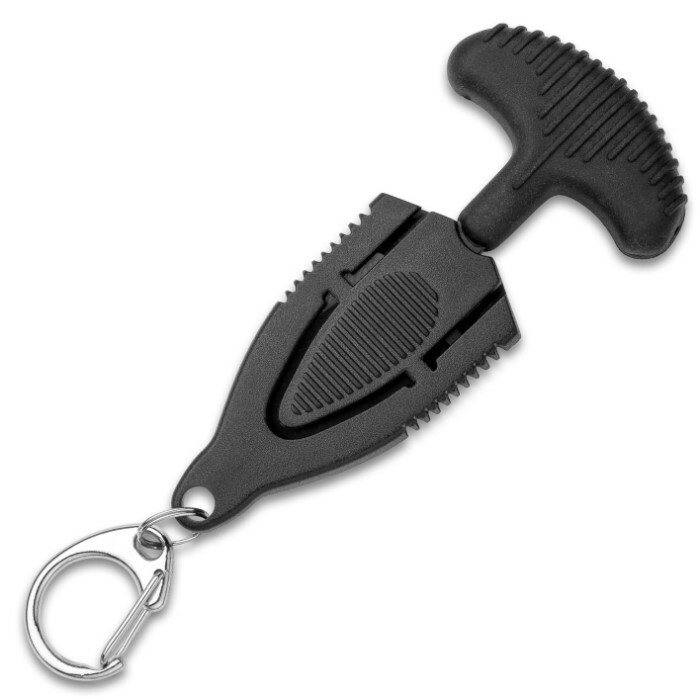 The push handle is strong TPR rubber and has a comfortable, no-slip grip. 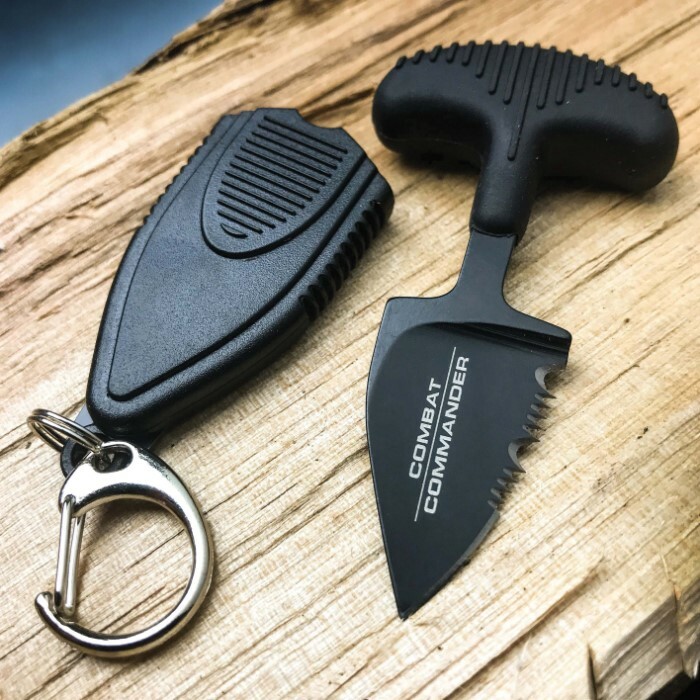 The blade is housed in a polypropylene sheath with a stainless steel clip and ring so that it can be easily clipped wherever you need it. 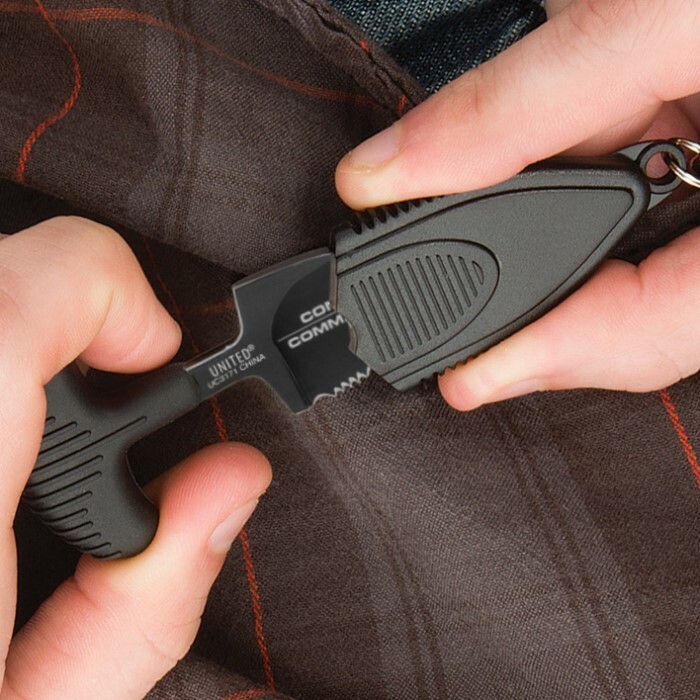 It fits perfectly on your keychain. Great knife, amazing quality. Only thing wrong with this product was the sheath,it is cheap and the plastic is not strong enough.i lost one of this daggers already, it just fell off the sheath. But here I am buying another one.